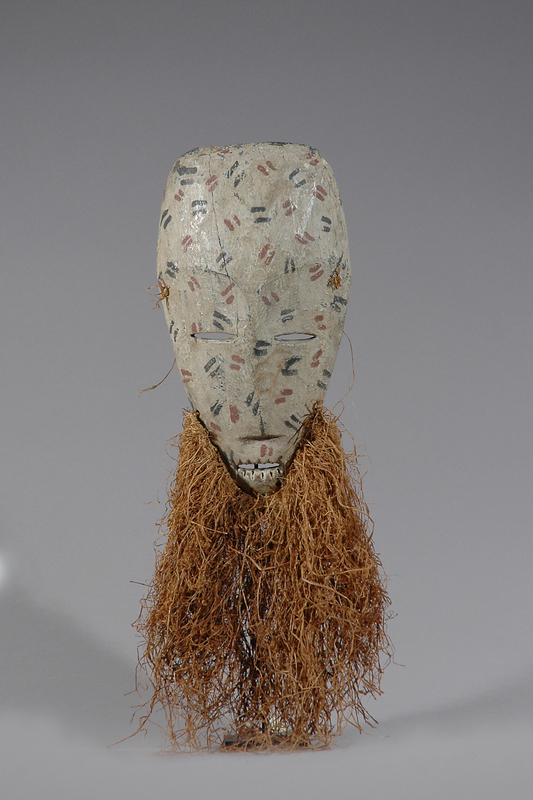 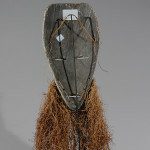 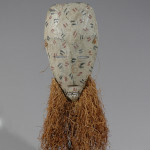 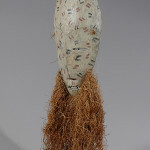 Masks of the Ituri River basin have been brought to the forefront only recently. 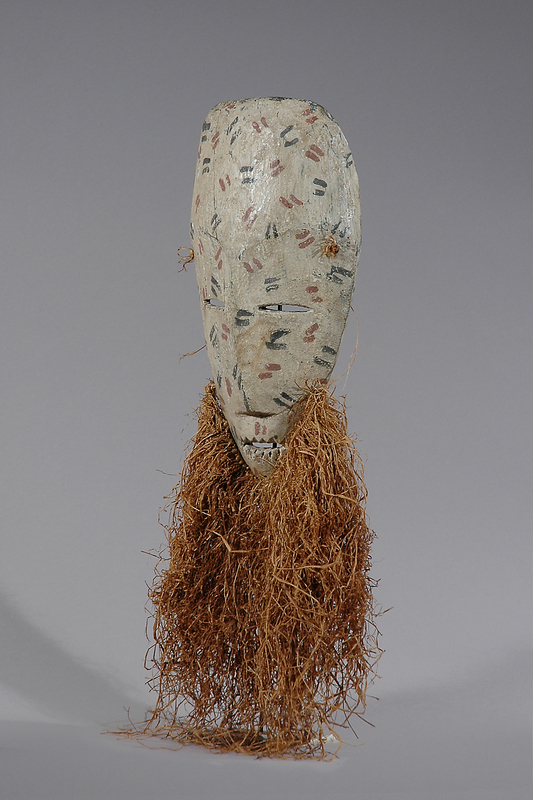 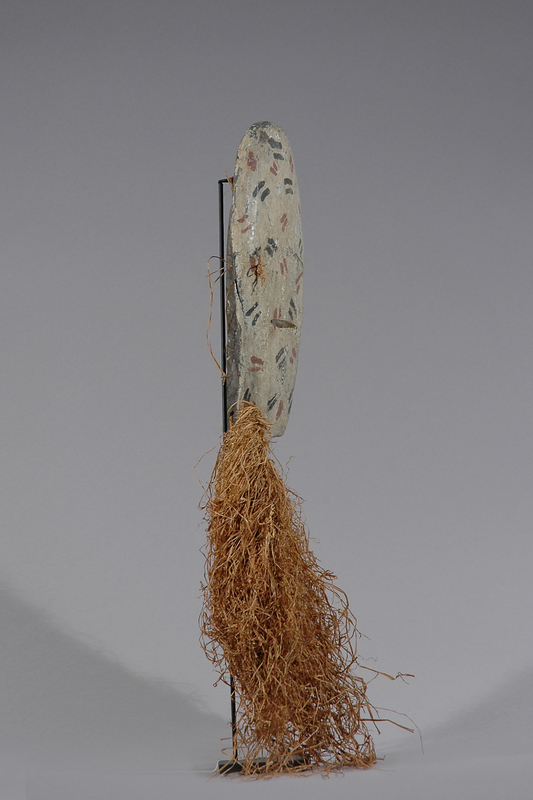 Made by groups occupying the land among the Ituri pygmies, they utilize painted design elements on their surfaces that have long been associated with the better-known painted bark-cloth textiles of the pygmies. 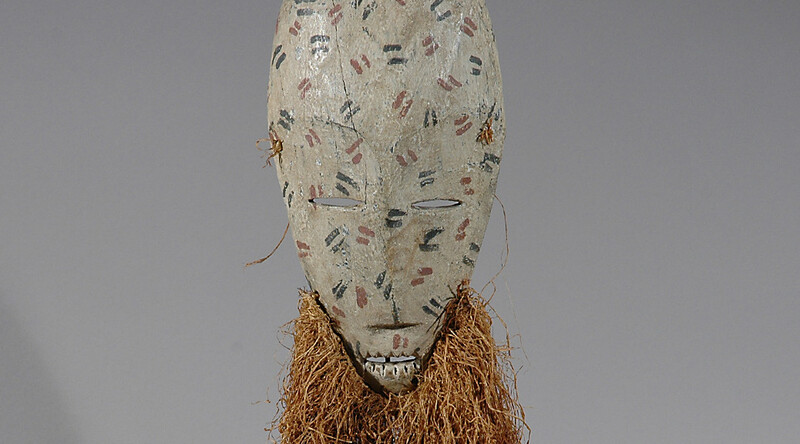 Masks from this region, indeed this example too, often depict the human face as belligerent or leering. 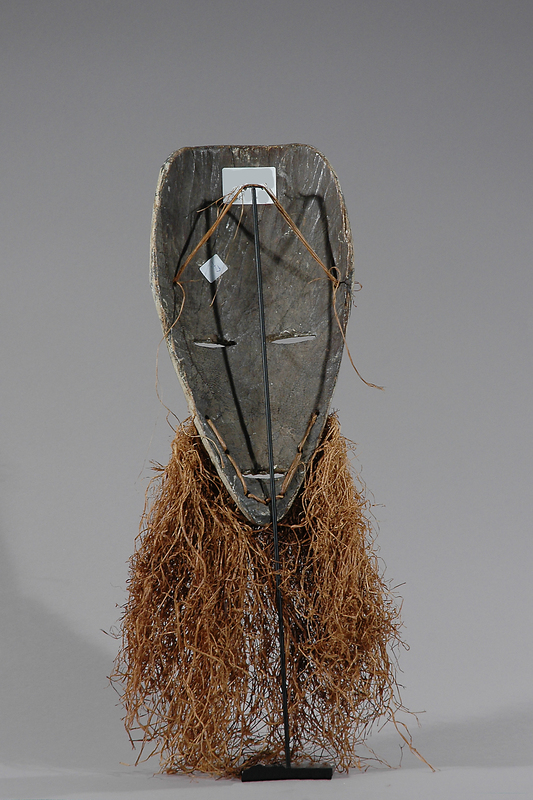 Additionally the masks are polychromed and may be bisected or quartered, with oppositional patterning. 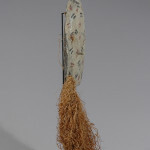 However, in some cases a single pattern is repeated over the entire surface.